Think Thursday: Live Your Dreams! Do you know that you can create the life you want?! Provided your heart is “really” in it, you can live the dream you need. Make sure it’s truly what YOU “really” want and not what others want for you. It’s your life and you only have one so stop doing what other people want you to do and start doing things for you. Set your priorities and let go of what’s holding you back. Be fully engaged physically, emotionally, spiritually and mentally. Figure out what you love to do and do more of it. Success will follow. 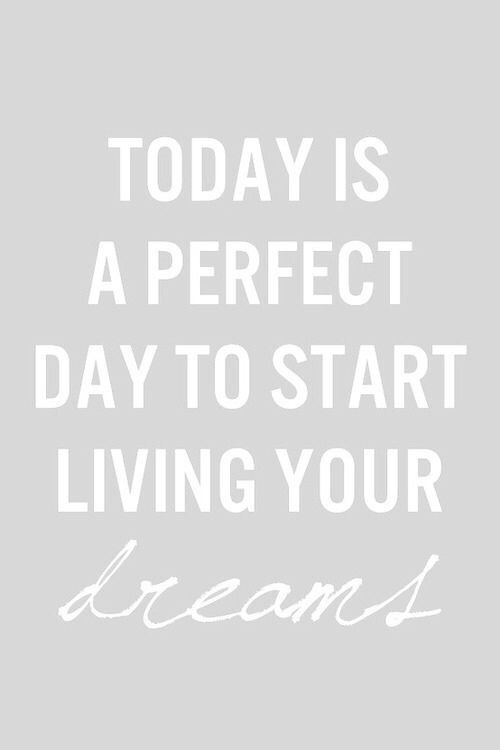 Live your dreams today! « Africa Fashion Week Montreal Recap (Part 1)!